2015 will arguably be remembered for the arrival of a free Windows 10, but there were plenty more goings on within the UK tech channel – including several big acquisitions, diversity drives and the UK office closure of one of the industry’s longest-running brands. 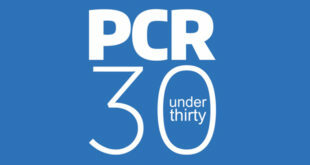 Here are PCR’s biggest moments and other surprises of the year. At the start of the year, Microsoft made a surprise announcement: Windows 10 would be free for a year for those upgrading from Windows 7or 8. Some retailers, resellers and distributors were left wondering how they’d make money with such a business plan, but come launch day on July 29th, Microsoft had already reached 14 million devices. And vendors got behind the launch in style, announcing all manner of new PC systems designed specifically for Windows 10 – giving partners something to focus on and sell. Microsoft set out an ambitious target of getting Windows 10 on one billion devices by 2018, and announced that gamers would be able to stream their Xbox games to Windows 10. Plus, delegates at the PCR Boot Camp 2015 conference and expo were lucky enough to try out Windows 10 for the very first time in the UK tech channel. And let’s not forget the return of the Start Menu. All in all, an impressive year for Microsoft. Worldwide PC shipments continued to decline in 2015, with tablets falling out of favour with customers in particular. 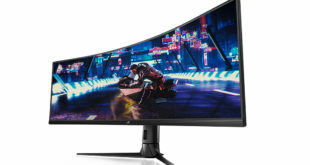 Worldwide PC shipments totalled nearly 71 million units in the third quarter of 2015, according to IDC. This volume represented a year-on-year decline of 10.8 per cent – slightly worse than earlier projections expecting a decline of 9.2 per cent. The tablet bubble burst in 2015, with global shipments of tablets falling for four successive quarters. In Q3, 48.7 million tablets were shipped worldwide, down 12.6 per cent year-on-year. IDC said that tablet users were holding onto their devices for upwards of four years. However, GfK said that there was still growth on the B2B side. 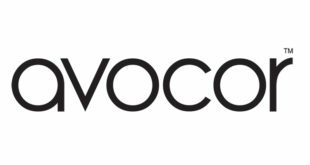 The drop in sales forced many vendors to rebrand as competition intensified, with the likes of Lenovo, Corsair, Logitech and more getting new looks and logos. The PC market continued to consolidate in 2015, with some of the biggest companies growing in size even further. 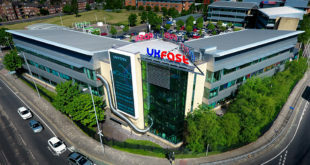 Tech distributor Exertis made several acquisitions, including UK gadget and accessories supplier Computers Unlimited in a £24 million deal, Swedish tech distribution business CapTech and French cabling and connectors distribution business CUC Groupe. It’s also building a 450,000sq ft UK national distribution centre. Elsewhere, Dell broke records late last year, announcing plans to acquire storage company and VMware owner EMC for £44 billion – the biggest deal in history between two tech companies. Plus, UK video game retailer GAME bought Multiplay – the gaming services company which is best known for its Insomnia PC gaming consumer LAN/eSports events – for £20 million. One of the biggest surprises in the UK PC channel was the departure of Entatech’s UK commercial director Jon Atherton, who left the distributor in March after 22 years working at the firm. Atherton said he “decided to leave the business and take some time out”, and soon after joined rivals Exertis as commercial development director. Since then, he’s got his head down in his new role. Another experienced tech exec – Dave Stevinson – replaced Atherton and was named Enta MD soon after. The news came after Entatech’s owner Jason Tsai was caught up in a court case between his former business Changtel Solutions and HM Revenue & Customs (HMRC) over VAT payments. Tsai reassured staff, telling PCR that whatever happened, it wouldn’t “affect the operation of Entatech”. Could 2016 be the year of virtual reality? Headset developers fine-tuned their devices in 2015, with the Facebook-owned Oculus Rift now available. The HTC Vive, PlayStation VR and other units are due too. There’s been a lot of buzz about this growing sector, and this year we’ll really find out if VR is the next big thing in tech. 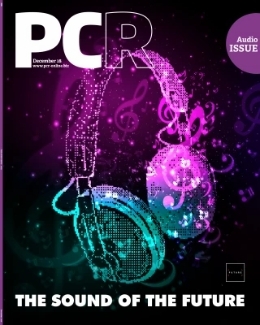 One thing’s for sure – the top headsets will require powerful PCs to run, giving retailers a great revenue opportunity. Keyboard specialist Cherry closed its Luton office at the tail end of 2015, after 43 years of trading in the UK. Cherry’s German parent company ZF Electronics set out a change of business model, and will now deal direct with the UK PC trade. Despite the office closure, Cherry is keen to express that it will continue to have a presence in the UK. Cherry’s UK operation could follow a similar model to operations in France, where some staff work remotely but there is no warehouse. Competitive gaming exploded in the UK in 2015, with huge events such as the League of Legends World Championship quarter finals and DreamHack in London. Crowds flocked to the events in their thousands, and firms such as Intel got behind them in style. GAME acquired and continued to grow its Multiplay Insomnia LAN gaming/expo events and more UK-based eSports teams formed. Online, streaming services such as Twitch continued to grow. All of this meant system builders and PC retailers enjoyed strong sales of PC gaming machines, and it only looks set to grow further in 2016. Intel launched its 6th gen Core (aka Skylake) processors in September, but these suffered stock shortages for the remainder of the year. Intel announced the full boxed retail launch at the IFA trade show, with the company saying the processors “deliver some of the most significant advancements in computing”. However, several UK system builders told PCR there wasn’t enough to go round. There were shortages for both 14nm 6th Generation Core computer processors – the i5-6600K and the i7-6700K. It’s expected that further stock will arrive in early 2016. 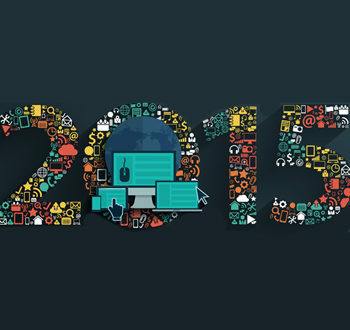 2015 was a fantastic year for women in tech. The likes of Intel, Dell, Apple, Microsoft, Lenovo and others announced new initiatives to diversify their workforce, highlight women in the sector and better promote the technology industry to girls and young people. These weren’t small initiatives either – Intel pledged to spend $125 million to “achieve full representation of women and underrepresented minorities” in its workforce by 2020. The #ILookLikeAnEngineer Twitter hashtag helped to highlight the number of women working in tech and engineering, with women in the sector posting pictures of themselves at work. 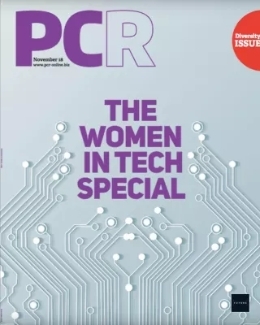 Of course, PCR’s very own Woman of the Year awards event celebrated some of the leading ladies in the PC channel in October, with IT Tablet PC’s Nova Smith receiving the top accolade, alongside three others. Lenovo had an incredibly busy 2015, with a few ups and downs. Back in February, the PC giant came under fire as it was revealed that Superfish software pre-loaded on some of its computers could give hackers easy access to secure browser data. The vendor handled the situation well, promising to cut adware in the future and offering free McAfee LiveSafe to users affected by the Superfish issue. 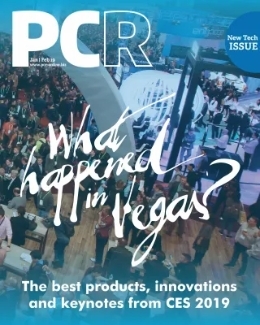 It announced a colourful brand refresh in June, and said it would be transforming itself from a hardware-focused firm to a ‘hardware and software’ company, before outlining to PCR its plans to become the UK’s number one PC vendor. Lenovo also posted record revenues of £29.5 billion for its financial year ending March 31st 2015. Bill Gates drunk water made from human faeces back in January 2015, showcasing tech that could provide clean water to developing countries. The Microsoft founder tasted water that was created through an Omniprocessor system. The project was backed by the charity WaterAid, which said that 748 million people lack clean drinking water. Indie computer store Premier Computers was flooded in July due to a hidden cannabis factory above the store. It was hit by £12,000 worth of damages due to a leakage in the private flat above the shop. Eccentric security expert John McAfee revealed that he was running for President. During the TechCrunch Disrupt event in September, McAfee was seen lurking around the press room where he began a long-winded speech about how he plans to gain votes for the next election. He said he had no plans to pay for any mainstream coverage, as ‘there’s the internet’. Edinburgh-based retailer The PC Doctor received worldwide PR coverage in September, after it built a custom ‘Irn-Bru’ water-cooled PC. Dubbed the Och Aye Mac, the creation was the brainchild of shop owner John Lawson, and featured a 750ml glass bottle of the orange liquid. However, the liquid used was actually coloured water rather than the famous fizzy fluid. Synology had a tricky time at the Computex trade show after an attendee tried to steal one of the company’s notebooks. The firm’s own Surveillance Station product recorded the entire scene – and the thief was later caught by the police.